Koreans take their makeup seriously, having a makeup store around every corner. I was fascinated to hear from my friend, that they have makeup stores in almost every school and corner. Even male population religiously use their BB creams, while eyelid surgery is totally an everyday occasion. No wonder they're known as one of most beautiful nations. Also, Korean brands are huge trend setters, well known European brands get their ideas after Korea already released a dozen of innovative products. There's no coincidence that Chanel and Lancome came out with cushions, while Clarins brought out Lip Comfort Oil. Sneaky. 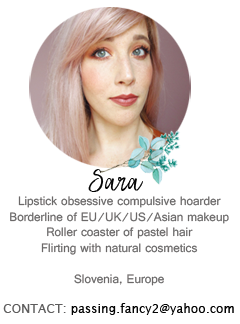 Here are my personal experiences and thoughts about Korean cosmetics in general. Hopefully, it will help you orientate while shopping these little cute gems on your own. I have in no way tried even a third of existent products but I'm slowly swimming down the massive flow of Korean gems. Most of Korean brands have their own specific theme and concept. As I've said, I'm slowly digging through massive piles of products myself. 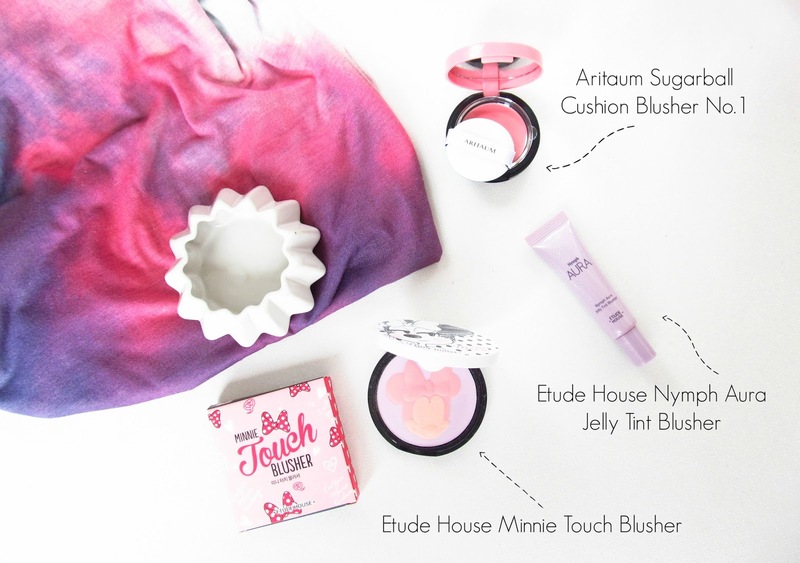 Clearly, I'm sticking with what I really like - my personal favourite is still Etude House. You can't really go wrong with Etude House products. I also love Holika Holika for BB creams, Innisfree for lip products and Aritaum for general good quality and innovative products. Usually, you have 3 finishes in Korean face department: matte/pore refined skin, glowy skin and whitening effect. Of course you can still find products to suit normal skin types but they are specifically experts for glowy/radiant skin, perfected pores and humid weather. Every face product contains SPF and some kind of bonus treatment. Products for humid weather are usually longlasting, have a matte effect and set really well. On the other hand, if you're craving glowy skin, you have numerous things to choose from. From aura primers, to glowy BB creams and glowy fixing sprays. Face products have different undertones - from grey up to yellow tones. I recommend researching each BB cream for swatches before buying if you're afraid of mismatch. Also, snow whites will probably fit almost all lightest shades. Korean face products come in various types: BB creams, CC creams, Cushions, Foundations. BB creams are of course number one product from Korea. Compared to western BB creams, Korean BB's have higher coverage (foundation like), high SPF and added special treatments (whitening, green tea extracts, oil control...). CC creams have usually light coverage but not necessarily. Cushions are an absolute must to try out. I religiously use my affordable Etude House Precious Mineral Any Cushion for a year now. Refills are super cheap and application is super easy on the go. You just press your ''beauty blender-like'' sponge into sponge, filled with BB cream and tap all over your face. Voila! What makes cushions so special is their application and great coverage. Indepth review is coming soon on my blog! Korean powders/pact usually target sebum along with oil control. Pores and oil control is huge, especially with warmer months. Be careful when choosing a powder, they can easily look cakey if you load them up. Another fascinated thing is glow effect fixing sprays. I absolutely love Etude House version from Nymph Aura but was unfortunately discontinued. I recommend you to research this field yourself but I've discovered TonyMoly has great options too. In general, I would totally recommend Etude House for everyone, Aritaum for full coverage and Holika Holika for oily skin types. Innisfree and Laneige cushions are highly praised as well but haven't had any experiences with them yet. 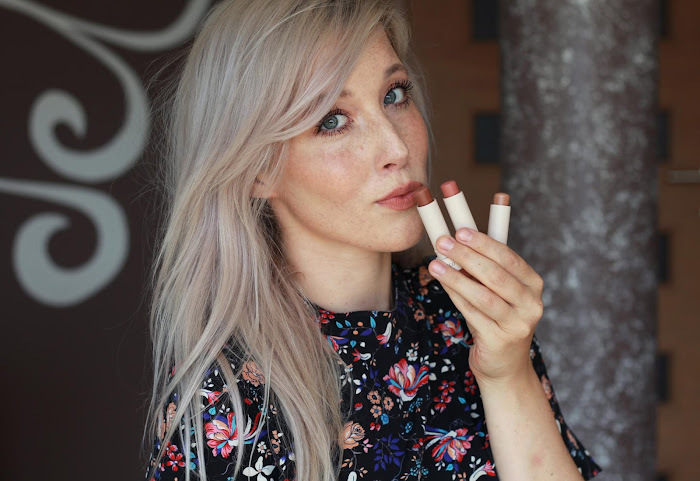 Almost every blush range contain a must pink, peach and lavender shade. Coral and peach is obligatory, while pink tones differ in warmth and intensity. Finish differs upon brand and collection but usually they're matte or in liquid form with glowy finish. You can easily find cream/liquid blushes in squeezy tubes in every brand. Blush Cushions are pretty much new to the market. They work exactly the same as BB Cushions - easy, non-messy application of cream blush onto your cheeks. I would highly recommend you to check out peach and lavender shades for fair skintones. Korean eye products are definitely not my favourite. Eyeshadows are usually translucent with lots of shimmer to enhance mono eyelids while shimmery eyeliners enhance your lower part of the lid. Eye pencils are in general super creamy yet super durable and don't transfer. Some mascaras are highly praised but haven't tried any of them yet. In general, stick with their eyeliners, eyepencils while avoid eyeshadows if you prefer full opacity and pigmentation. I'm not saying that every eyeshadow is glittery or translucent but be careful with your picks upon your desires. 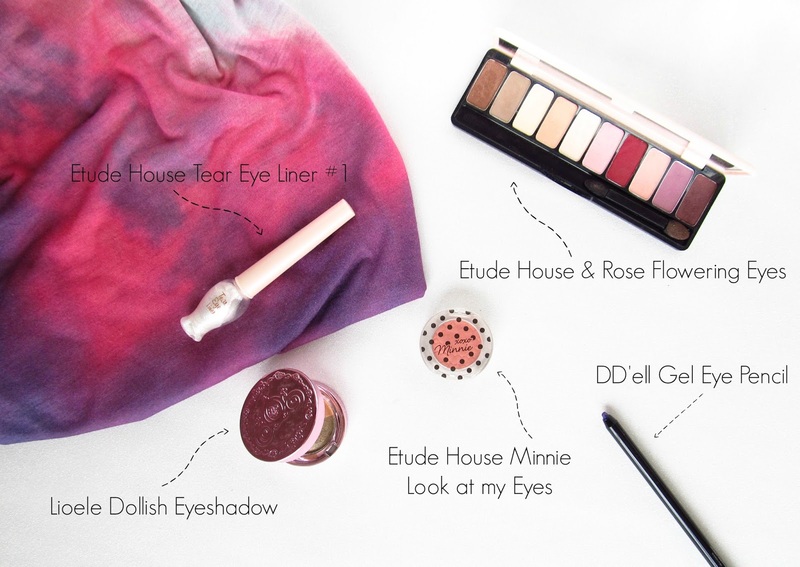 In general, I like matte shades from Etude House Look at my Eyes range. I also like to add some extra shine to my inner teardrop. Korean lip products are always bright and girly. Lipsticks contain a good portion of white base to make them bright and youthful. Their speciality are orange and peach lip shades which suits any skintone due to small intensity of pink undertones. Also, there's a lot of unusual bright purple tones. Lip products range from glossy (Etude House Liquid Lips) to creamy effect (Innisfree Creamy Tint Mousse) which enhance your lips. Of course, they also didn't skip trendy matte effect (3 Concept Eyes, CLIO Lipnicure, Etude House Color Lips Fit), usually in a gloss form. 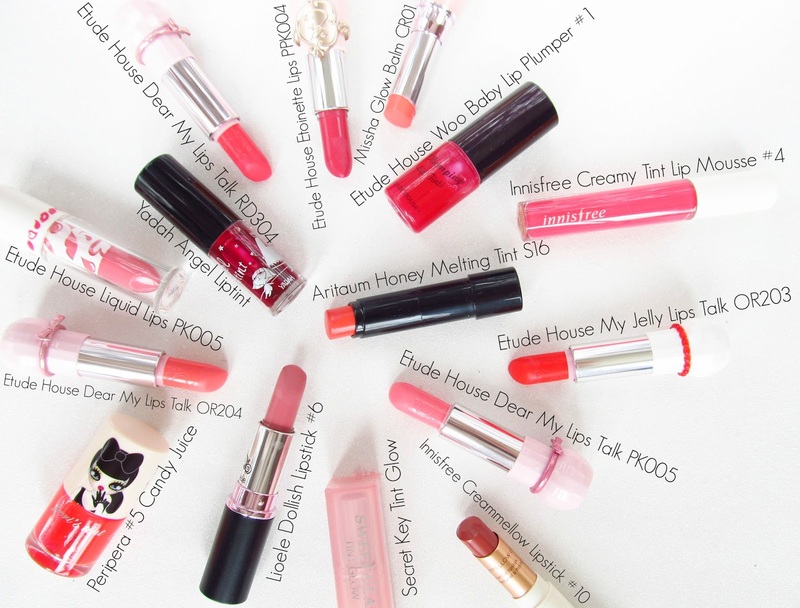 My personal favourite for lip products is definitely Etude House, they nail with cuteness and trendy colors every season. You cannot skip lip tints. Tints with candy or cherry residue will add extra boost to your natual lip color. Europeans don't really dig gradient lips but they are a huge game changer in Korea. Innocent lips like you've just suckled a juicy lollipop brings a youthful boost to your complexion. Lip tints come with various types of formula: water based tints (TonyMoly), jelly based tints (Etude House), lip balm tints (TonyMoly). lipstick tints (Secret Key) and oil tints (Holika Holika). I would suggest TonyMoly and Peripera (#5 Candy Juice Lip Tint) for some unique shades of lip tints. You cannot get wrong with extra glittery nails and pastel colours. There's loads of interesting bright shades with unique, chunky toppers. Mirrored glitters, chunky hearts and prismatic parts are a must. With loads of finishes, colors and innovative textures to choose from, I'm extra happy with chunky toppers, galaxy-like opaque nail polishes and creamy pastel nails. They also love to mix opaque colors with ''topper'' chunks. With every season, brands usually tend to renovate their nail polish collection and add season appropriate colors. You can check out my massive korean nail polish haul from 2012 here. TonyMoly, Skinfood and Etude House are my favourite nail polish departments. I've been mainly focusing on Korean makeup rather than skincare. But ever since I've tried a couple of various Memeboxes, I'm pretty much in love with Korean skincare. Products are not only out of the box, but they also deliver what they promise. My attention was immediately caught with Sparkling Toc!s by Etude House, known as all around gel with tiny balls of Vitamin C and Aloe Vera. Yadah also released a similar version in bigger size. From pore refining serum to garlic/olive serums for extra moisture. Another beauty gimmick are Sleeping Packs, which supposedly intensely nourish skin like a mask during the night. Quite an interesting concept in my eyes. Of course, there are also face bars, bee venom creams, donkey milk bodycare and jelly emulsions. Also, you should try Korean clay masks and acid based toners, they work wonders on acne prone skin and pores. Skinfood and Nature Republic have some great natural skincare, worth checking out. Sheet masks are big in Asia. You should at least try one before you ever commit to buy any other skincare item. They are easy to use due to face shaped sheet, indulged with best skincare ingredients. Sheet masks have a solution for all skin types and any kind of skin issue. From tightening, whitening to blemishes and moisture. My personal favourites I trust are My Beauty Diary (Taiwan brand though), while Etude House and Nature Republic isn't bad either. I suggest you to swap sheet masks with fellow Asian bloggers rather than buying them on their own. I personally can't justify buying sheet masks at higher prices online. Also, check Ebay, Imomoko or Sasa for better deals on mask bundles. WHERE TO SHOP KOREAN PRODUCTS? I personally always shop Korean cosmetics on Jolse or on Ebay from f2plus1 seller. I've been a loyal customer of Jolse for years now, ever since they've started. I really love their weekly discounts on specific brands like Etude House, TonyMoly, Innisfree and more. I also trust BeautyNetKorea, Roseroseshop, while I don't recommend Korea Depart due to high shipping costs. All these stores are great for browsing around for newer products and releases. If you're searching for a specific item, you can't seem to find in Korean online stores, try good old Google. I usually find rare or discontinued items on Ebay. 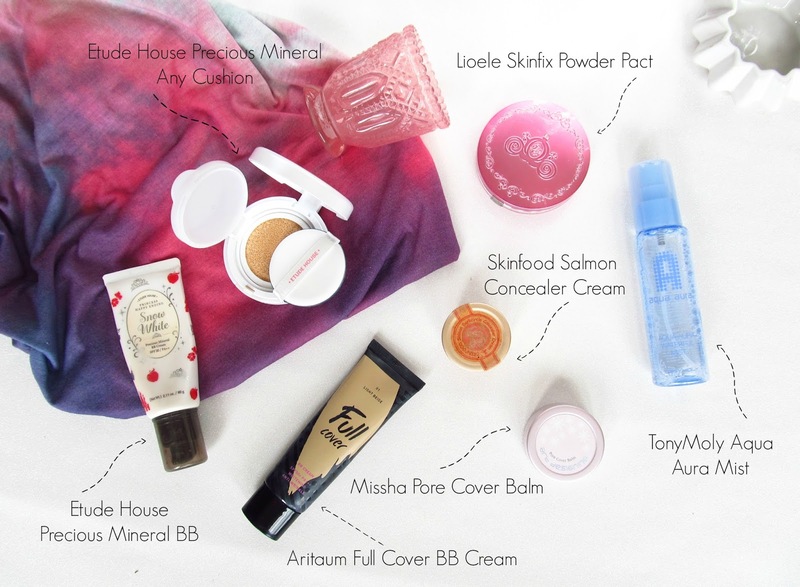 I'm sure there's ton of products I still need to try out, but here is my humble recap of what I personally think about Korean cosmetics. Don't take it too literally, my observations could be wrong. In general I absolutely adore Korean products, they always deliver the best quality and results. There's not a single item I wouldn't love (if I don't count color matching or color preferences). Korean products are affordable online, usually ranging from 4-30$ with free worldwide shipping. If you want to avoid additional customs, try ordering in bundles for 25$ - shipping is after all for free. Always open to your recommendations and tricks for shopping Korean products! Beautiful post lovely! Everything looks so pretty. wow this is such a good post! I really like Korean products, especially TonyMoly. Odlična objava. Zelo detajlna! In I love love Korean makeup. <3 Sploh njihov skincare mi je pri srcu. Boš še kaj o Japonski kozmetiki napisala? Etude House is one brand I really want to try, and I adore these photos! Super post! Že neki časa se odločam, da bi sprobala kakšen korejski "cushion" in se mi zdi da me je ta post kar prepričal, da poskusim. Slučajno veš, kateri tipi/firme so boljši za suho kožo? Such a great post! Very helpful. Thank you! Vprašanje za Saro in druge: Kolko časa prihajajo vaše pošiljke s strani Jolse? Ker sem narocila prve dni junija, paketka pa še vedno ni in sem malo nestrpna. What A collection. I just have all the anti aging products by Dermology. I just need to have a collection like you. Thanks for sharing your routine. I would love to try these. The thing I can not change in every season is revitol anti aging cream for women.